Thanks to the internet, not much is hidden. I was one of many who stood shoulder to shoulder with Shannon Hale (well, my shoulder, her elbow) during the Storymakers Conference in early May. She's not only a bestselling author several times over but a woman of character. She's a soldier for inclusion, regardless of where you or I stand. During Storymakers Conference, we experienced an aggressive stance against harassment. No other conference posted a policy at registration, during general meetings and in emails leading up to the event. 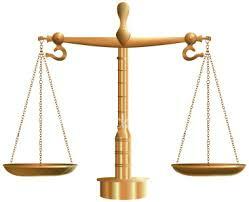 Every notice encouraged contact, whether it be via phone, email or face to face. We, not just women but authors in general, were safe and embolden to "see something, say something." And yet, just an hour north of that same area, is a completely different story. 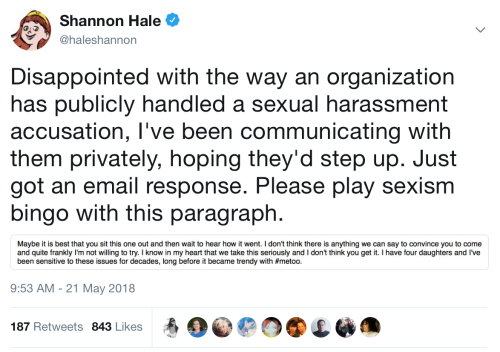 Shannon Hale is at the center of a raging media storm. 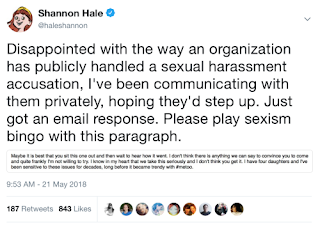 Ever the advocate, Shannon Hale privately expressed concern to FanX, formerly Salt Lake's Comic Con, about the safety of women regarding a particularly celebrated male author with predatory tendencies. Sadly, Bryan Brandenburg, the director of FanX, responded with a dismissal "I've been sensitive to these issues...before it became trendy with #metoo" and told Shannon to "sit this one out." Let's just say it escalated from there and Bryan tweeted an edited version of his emails along with Shannon's personal contact information. Unwittingly, his tweet united the dozens of other women being dismissed by FanX in the exact same fashion. Shannon was not alone, she was just the loudest voice. Her entire message was "listen to women, believe women." Because of her, the entire publishing world is listening. Thank you Shannon for your strength and advocacy.